‘Green Book’ won big at the Golden Globes. Will it hold up under increased scrutiny? LOS ANGELES —When “Green Book” won three Golden Globes on Sunday, a number of narratives began to take shape: The awards — for best comedy or musical, best screenplay and Mahershala Ali’s supporting performance — were among the biggest surprises of the night, upsetting such supposed front-runners as the multi-nominated “Vice” or “Mary Poppins Returns.” What’s more, “Green Book” arrived at the ceremony dogged by on-screen and off-screen controversies, including criticism from the family of Ali’s character, the pianist Don Shirley, as well as accusations that the film is “divisive,” perpetuating racist stereotypes of white saviors and “magical Negroes.” The question, as Sunday night turned to Monday morning, when balloting opened for the Academy Awards, was whether those disputes with the film would scuttle its Oscar chances. 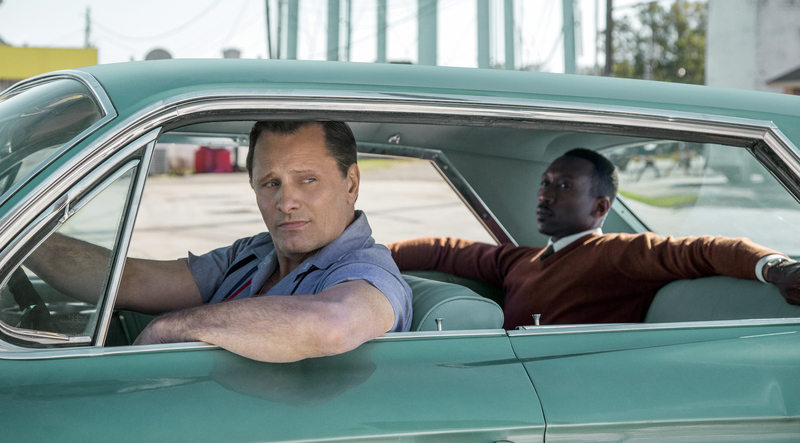 For starters: Was “Green Book” really that much of a surprise? On paper, it’s a surefire Oscar contender. It took the audience award at the Toronto International Film Festival in September, which often augurs well for awards season down the road. It has earned similar honors at nearly every festival it’s played, including Middleburg, where two sold-out crowds gave it wildly enthusiastic standing ovations. The movie, a warm, upbeat picaresque inspired by the real-life story of Tony Vallelonga (Viggo Mortensen) and the year he spent driving Dr. Shirley through the Deep South in the early 1960s, has performed modestly well in the 1,200 theaters it has opened in since Thanksgiving. (Now playing in 600 or so theaters, the film will arrive in 500 more this weekend, and will continue to expand through Oscar season.) Even more revealing — and giving the lie to describing it as “divisive” — the film has earned an A-plus CinemaScore, meaning that nearly everyone who sees it, loves it. It’s precisely that your-mom-will-love-it quality that has made “Green Book” so beloved among its fans: It’s that rare movie you can take your kids, parents and grandparents to and have an entertaining, genuinely meaningful experience. But that very approachability has also made the film a target for detractors who take issue with its most nostalgic — they would say retrograde — qualities. Unlike edgier films that addressed racism this year (“BlacKkKlansman,” “Sorry to Bother You”), “Green Book” is a mainstream PG-13 family film and tells a far more reassuring story of overcoming personal prejudice to find common understanding, akin to similarly themed movies from decades ago. But “Green Book,” which was co-written by Vallelonga’s son, Nick, and directed by Peter Farrelly, differs from those predecessors in crucial ways: It isn’t a white-savior movie as much as a gentle, utterly conventional buddy comedy and road movie, with both men changing in the end thanks to their improbable friendship. The question, when it comes to “Green Book,” might be less racial than generational: Can a film made in the tradition of wholesome, nonconfrontational life lessons and happy endings be remotely acceptable anymore? Does it possess values worth cheering despite its self-imposed limitations? Or is the entire form inherently regressive and ill-suited to the present era, especially when it comes to stories about race told from the point of view of a white protagonist? At this writing, few academy voters seem to be aware of the Shirley family’s disapproval of “Green Book” (Shirley’s brother has called the film “a symphony of lies” and has taken issue with the suggestion that Shirley was estranged from him and the rest of their relatives). The political commentary surrounding the film so far seems limited to intra-critic debates and Twitter. Ann Hornaday is The Washington Post's chief film critic. She is the author of "Talking Pictures: How to Watch Movies." She joined The Post in 2002.